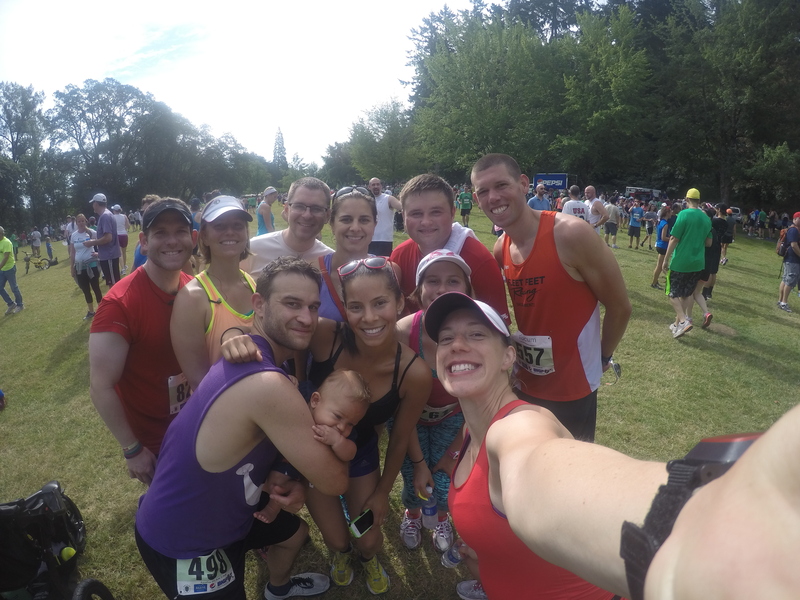 To start out our 4th of July celebrations, I ran the Butte to Butte race in Eugene, OR with 9 other friends. 7 people ran the 10k (the main race of the day) and 3 of us ran the 5k. Apparently, this was the first year that the 5k was all on the road. The 10k has a pretty large hill for most of mile 1, then returns downhill during mile 2, and is mostly flat for the remainder of the race. It is a point-to-point race. The 5k started and finished at the 10k finish line, and was a nice flat out and back course. The 5k started at 7:45am. It actually started a minute or two early, which I couldn’t believe!! The race directors were calling some of the speedy runners over to get started on time. Haha. Because of timing with parking and taking a wrong turn getting to the start line, I barely had enough time to use the bathroom, and definitely didn’t get in much of a warmup before the race started. The beginning of the race was slightly down hill. I want sure what my pace was going to be. Lately my first mile or so is slower as I feel like it takes by body a little longer to warm up. I had enough time to do a few dynamic stretches and a super short jog, so I was hoping that would be enough. I also have been Just generally running a bit slower. Race adrenaline and weaving through some people, plus the slight downhill got me going quick though. Maybe a little too quick. Near the end of mile 1, I got a small cramp so I walked for a minute to let my muscles relax. I finished mile 1 in 8:55. Once I picked it back up, I kept the pace a little more conservative. We ran around a small block for our turn around and headed back toward the finish line. Mile 2 was a 9:05. I was feeling good and moving along well, then I realized there was a train going by ahead and a lot of runners were getting backed up there. I ended up getting stopped by the train for a little over a minute at 2.6 miles into the race. Afterward we found out that the train affected some people’s times by over 6 minutes! After the train went by, I just ran it in trying to keep it feeling pretty easy. My unofficial finish time, excluding the train stop was 28:15. I had a super nice comment from someone after I finished the race. Me and another woman were in the finisher shoot. 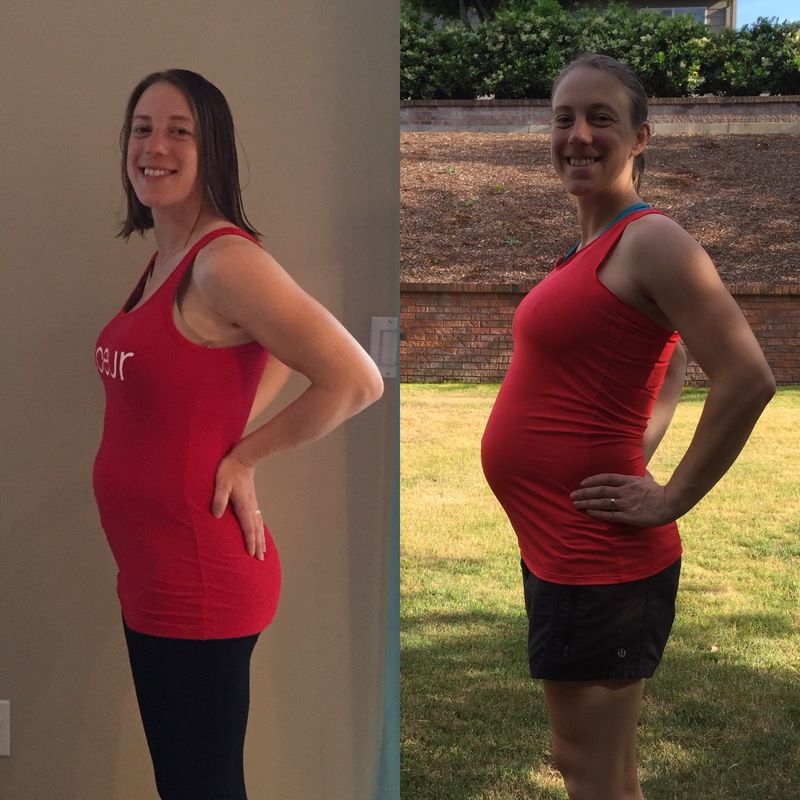 She stopped me and said “you were pacing me for a while and I was behind you thinking ‘wow, I want to look like her, she must do crossfit.’ And it want until just a minute ago I realized that you are pregnant!” She continued to tell me how impressed she was. This woman totally made my day!!! 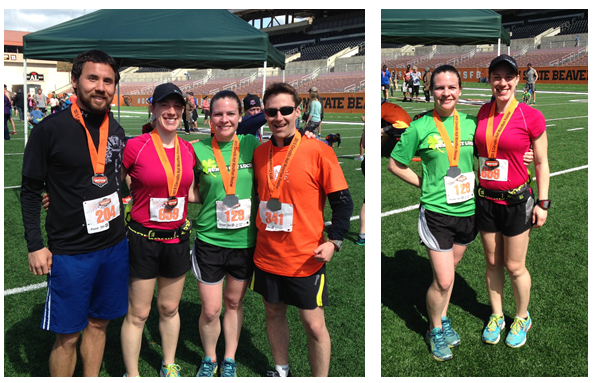 After I finished, I cheered on other runners finishing the 10k, and enjoyed the beautiful day with friends. It was awesome to have a big crew racing together. The rest of the day was full of lounging, trying to stay cool on a hot day, lunch at a brew pub (root beer float for me! ), and attempted viewing of fireworks. Did you run a race on July 4th? 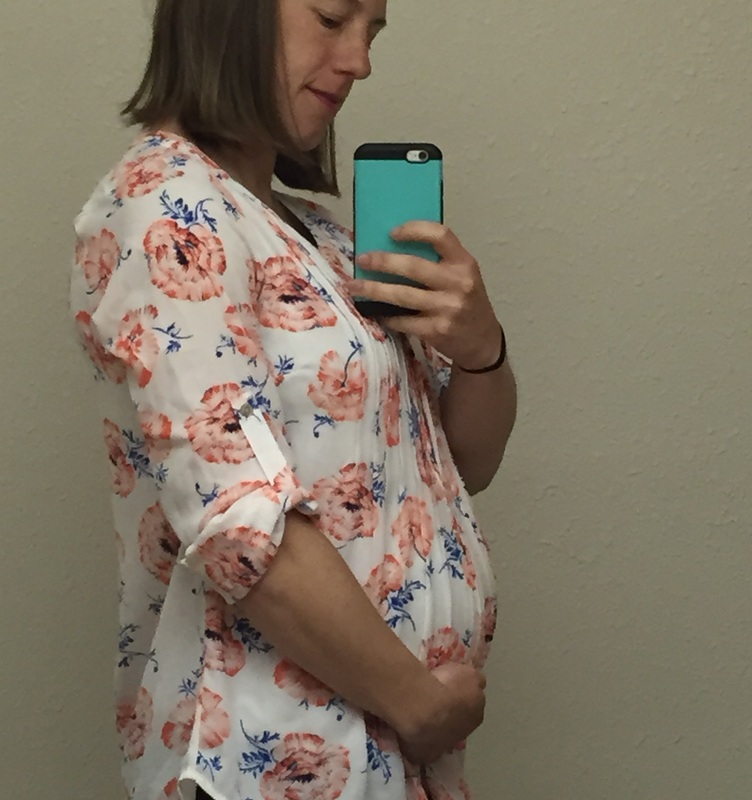 This entry was posted in Uncategorized on July 15, 2015 by Kristen L.
It’s pretty amazing to me how quickly the second trimester has flown by. It feels like just yesterday I was sharing the news of our expected little one with all of you! It helps that in April and May we were taking quite a few trips, so the weeks went by fast. I thought it would be fun to give you an update on how things have been going for me to date while I’ve been carrying this little one. Firstly, at the end of May we visited family on the East Coast and were able to have a gender reveal and baby shower all at once! It was so much fun to have the little one showered with so much love already. I’m going to be having another baby shower in Oregon in August, but I knew this was my only chance to see my family, so it was important to make it count! 🙂 Plus, we found out that that our little one is a BOY! Total weight gain: as of my doctors appointment Tuesday, I’m up about 19 lbs. 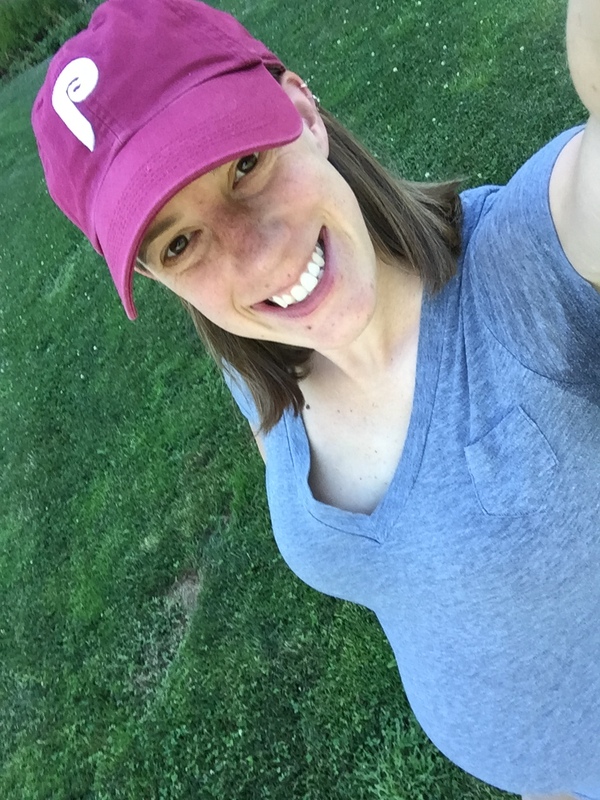 Maternity clothes: It took me until about 20 weeks before I was really ready to wear maternity clothes full time, particularly maternity pants. Now I’m dealing with a lot of my shirts getting too short! I only have a couple maternity shirts, and it might be time to do some more shopping to get me through the summer. I also so far haven’t bought maternity shorts, and instead have been wearing running shorts whenever I need them. I’ve been wearing more maxi skirts to work, which are great for this hot weather we’ve been having lately! Sleep: Overall sleep has been fairly sound. The last week or so I have started to get a little more uncomfortable. It takes a lot more effort to roll over in the middle of the night now. I’ve been sleeping with a pillow between my legs for some extra support. So far I still haven’t had to make too many mid-night bathroom trips on a regular basis. Symptoms: Baby L is always moving around and wiggling. I’m prepping for a busy little boy. Overall, I feel like I haven’t had too many major symptoms. In the last few weeks, a couple things have been picking up, including some heartburn, a couple calf cramps, and a sore left foot. I think the foot issue is due to relaxing ligaments, and increased weight along with my continued running. Luckily, after a few days of rest, the foot pain has been great. And the calf cramps are pretty intermittent, and seem to be a bit related to dehydration. Helps remind me to stay on top of the water consumption! Exercise: I have been running about 3 days per week, except for the week my foot pain flared up about two weeks ago. I had typically been running 5-6 miles each time. The last couple weeks I’ve been shortening them up a little, but have still been in the range of 3-6 miles per day. My pace has definitely slowed, especially in the first 1-2 miles while I’m warming up. I’d say that I typically am running around a 10-10:15 minute/mi on average. Sometimes I move a little quicker running with other people, but I continue to just see how my body feels and do whatever feels best on each day. I also recently went to the pool to swim for the first time since the end of last summer when I started marathon training. I have gone three times so far, and it has been fun to swim outdoors in the summer sun after work! 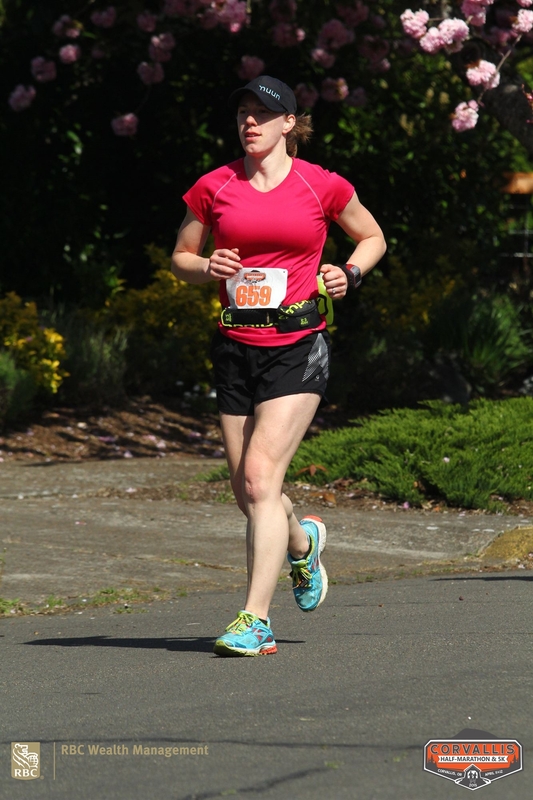 This weekend I ran the Butte to Butte 5k in Eugene, OR. It was awesome to run another race with my little running buddy — I’ll have a recap about it up shortly! Mood: overall I’ve been pretty happy and enjoying this pregnancy. 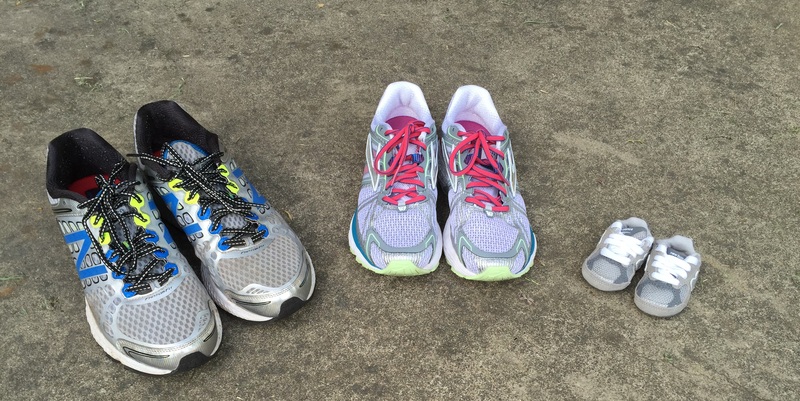 The week my foot pain flared up I had a few breakdowns. 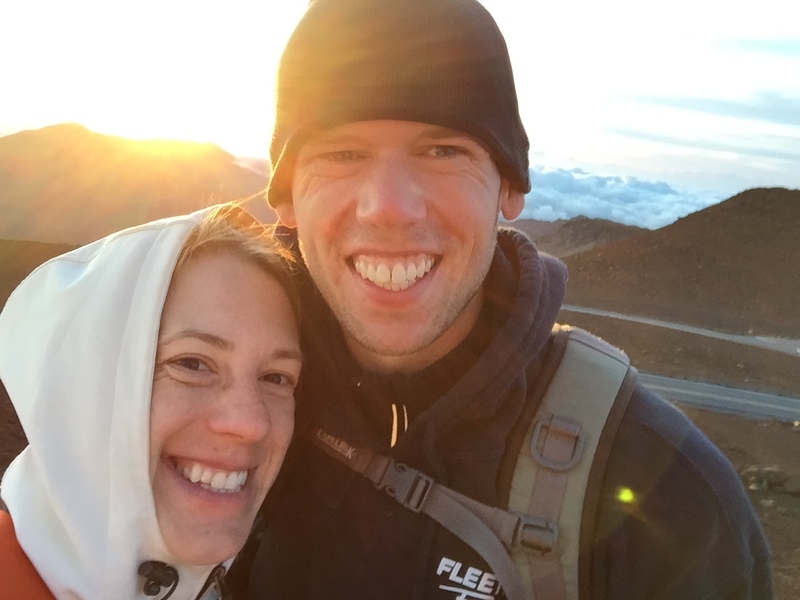 I was feeling overwhelmed by the changes in my body – the increased weight, aches and pains, and effects on exercise. Pregnancy is hard and sometimes crazy, but it’s also exciting and such a happy time. Missing: sometimes I’m missing doing hard workouts, the feeling of accomplishment after gutting it out around the track. I haven’t been biking and I miss that too. But I am so thankful for the exercise that I have been able to do. I’m also occasionally missing having a drink on a hot summer day with friends, and I would love to go out for some sushi! 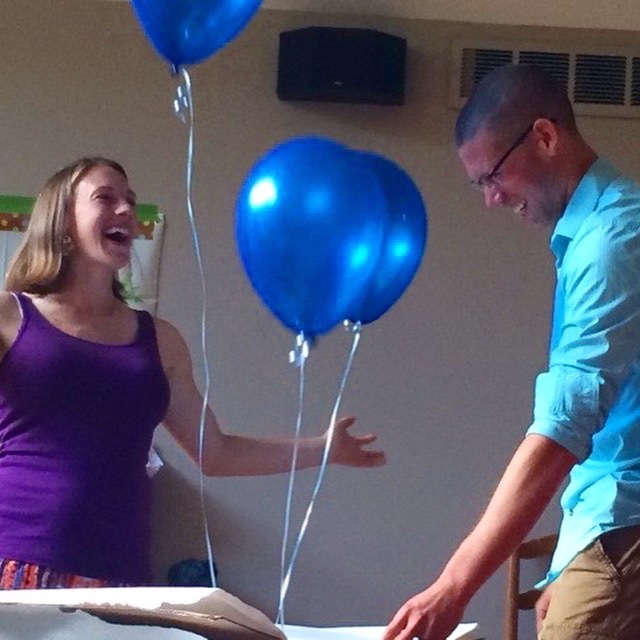 Best moments: our gender reveal with our families was really a special occasion. It was so much fun to not know and to share the announcement with our family. I love feeling the little guy moving around. He’s always wiggling around and rolling. It is so strange and surreal to me still to see my belly moving around or to be able to feel from the outside. Right now we are starting to work on the nursery! I can’t wait to show you how it turns out in a few more weeks as we get it all together. We have finished up painting, and built the crib! Looking forward to: We have a few friends and family coming to visit on the next couple months. And of course I’m really getting excited to finally meet our baby boy! This week I scheduled out all my doctors appointments through the end of the pregnancy, which makes it feel a lot closer! 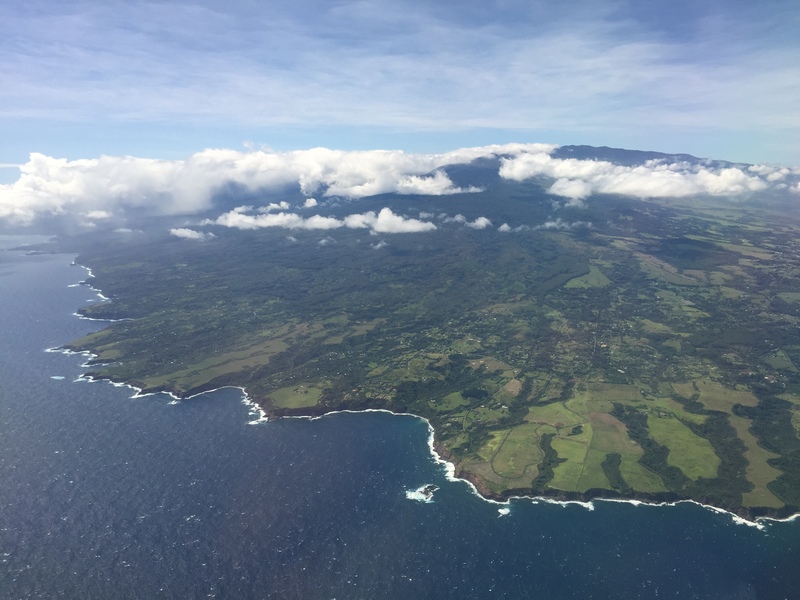 This entry was posted in Uncategorized on July 6, 2015 by Kristen L.
We’ve already been back from our Hawaii vacation for over a month, but I’m just now getting some time to write about it. Life has just been busy lately, but I’d like to continue sharing it with you whenever I do have the time or something fun to tell you about. From April 22-28 we visited the island of Maui in Hawaii. We stayed in a condo on the northwestern shore with some friends, near Napili. Travel was uneventful, besides the fact that we had to get up at 2:30am to drive to the Portland airport. But we were able to take some naps on the plane. Once we arrived on the island, our first stop was Costco to stock up on food for the week. Definitely a good way to go if you’re okay with eating in for some of the week. We especially focused on breakfast and lunches. 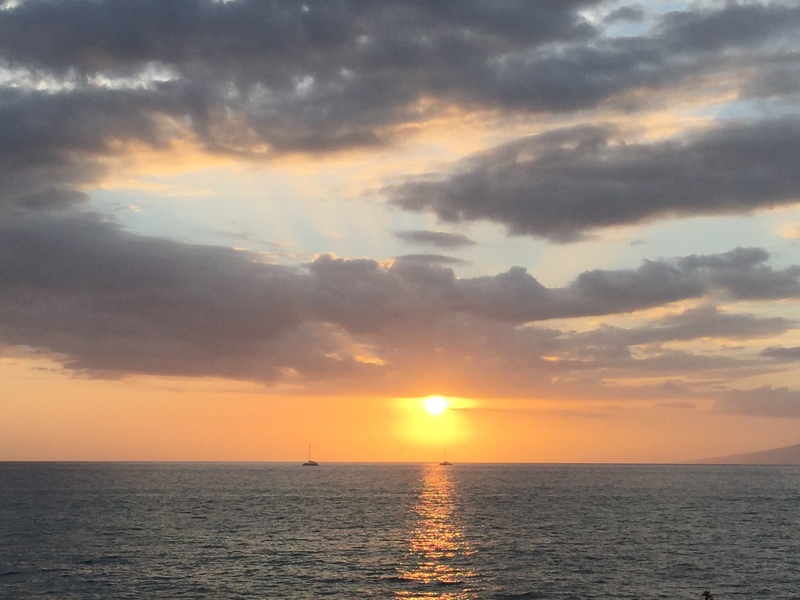 The rest of the first day we just lounged at our condo, taking it all in and watching our first beautiful sunset. Our first full day on the island we woke up early and started our day with a run. It helped to get going to beat the heat a little, but the morning was still a lot warmer that we were used to running in! The two runs we did get in had gorgeous views of the ocean. 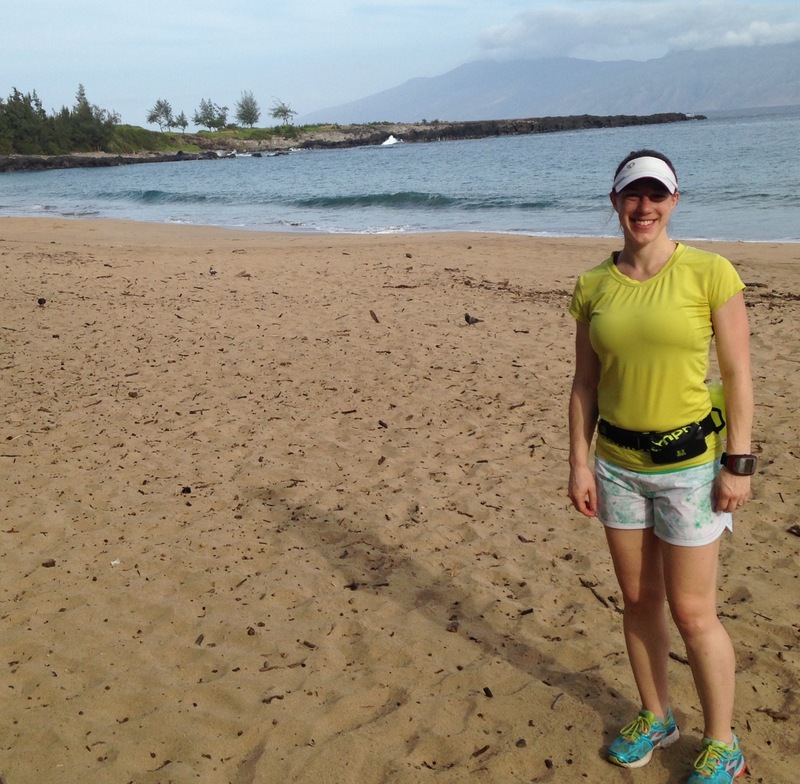 We ran the Kapalua Coastal trail the first day. 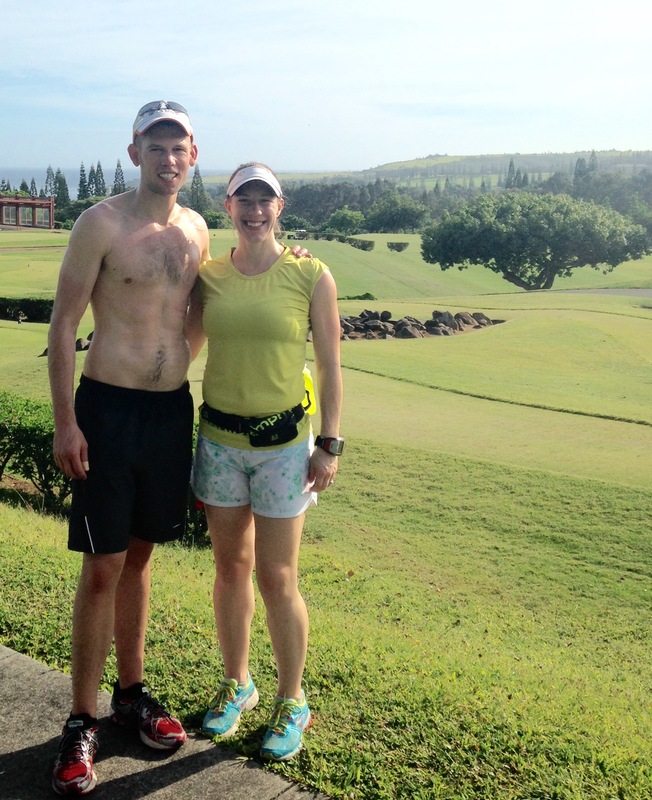 A little later in the week we ran through an old golf course near the actual Kapalua golf course. It was nice to have so much shade! Besides a few run days we had a couple other fun adventures. One morning, we got up extra early to drive up Mt. 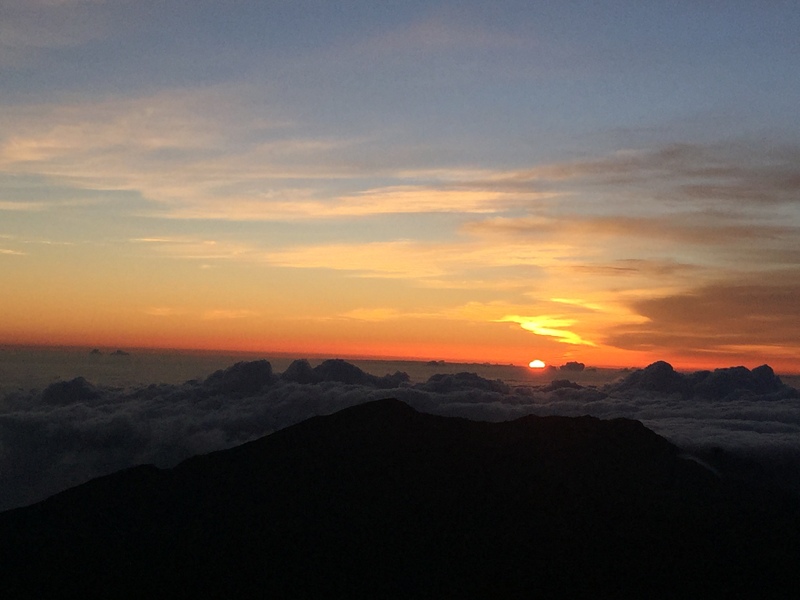 Haleakala and watch the sunrise. At over 10,000 ft, it was bitterly cold even with our extra layers we wore. But getting up early and being cold were well worth it for the incredible views. 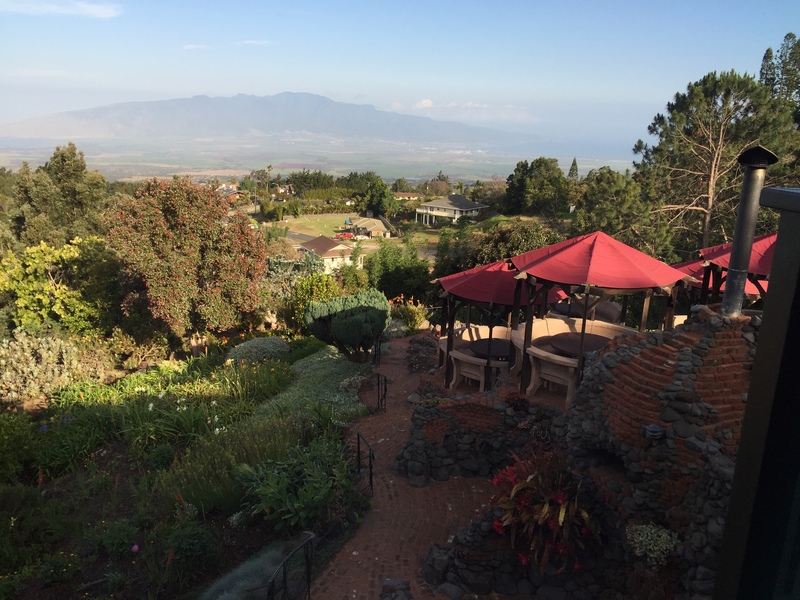 Plus, breakfast after at the Kula Lodge & Restaurant was also delicious! 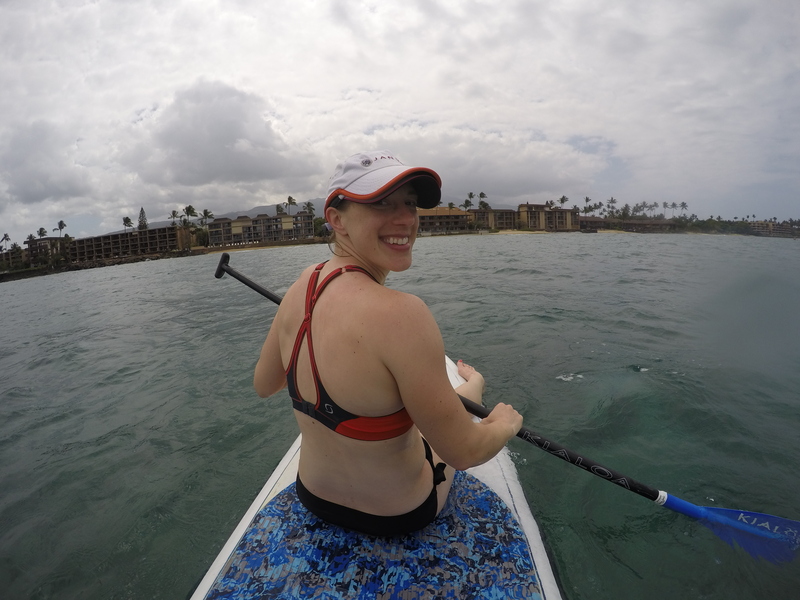 We were also able to fit in some paddle boarding and snorkeling. We took a snorkel trip out to Molokini Crater, which had the clearest water that I have ever seen. So many colorful fish and beautiful coral reefs. We were treated on the boat ride by seeing a chase of some whales looking for a mate. It was late in the season, so although it’s probably better for the whales to have been gone already, we were lucky to get to see some. They definitely put on a show for a while. Paddle boarding was way harder on the ocean than I thought it was going to be. The waves made it a lot more difficult to balance! I never could quite stay upright while standing, but paddled around both kneeling and sitting down, which was still a lot of fun. 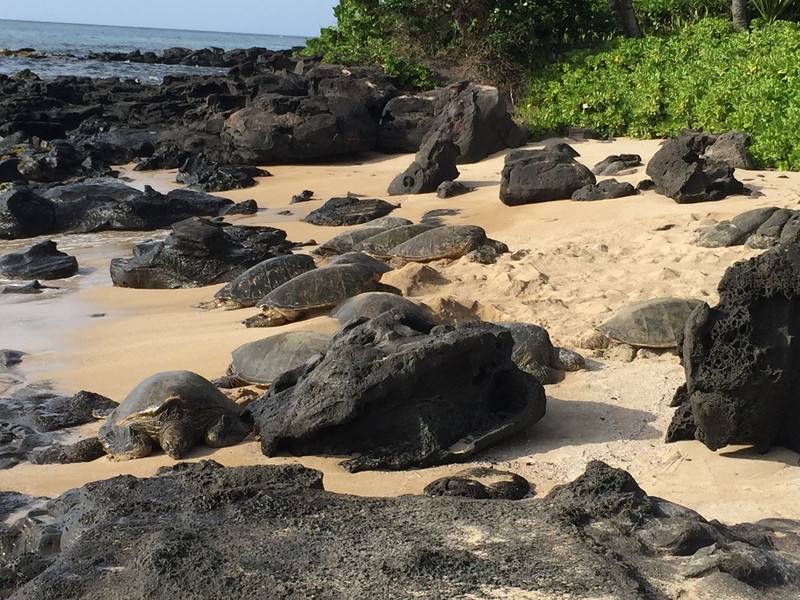 Most of our days ended with dinner at our condo, after watching the sun set and keeping a close watch for turtles. It was a fantastic and relaxing getaway — a great trip to fit in before baby arrives this fall. Have you been to Hawaii? Which island is your favorite? 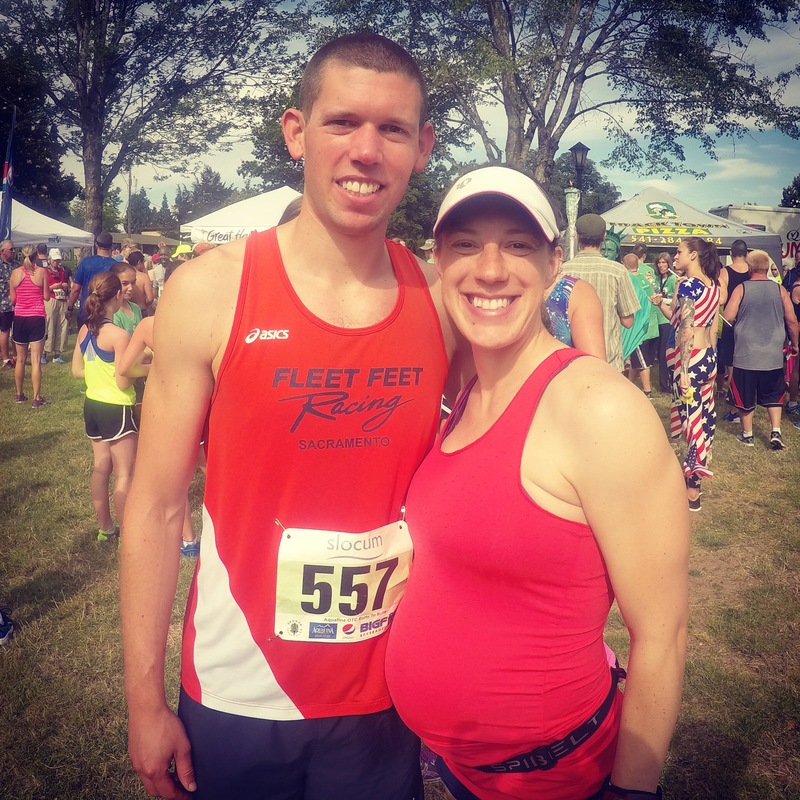 This entry was posted in Uncategorized on June 9, 2015 by Kristen L.
On Sunday, Baby L and I ran our first race together at the Corvallis Half Marathon. It was an absolutely perfect day for racing. About 48 degrees and sunny at the start. Couldn’t ask for anything better! I didn’t really have too much of a plan for this race. Mostly I just wanted to get out there and run with my hometown crowd. A friend of mine was running this as her first half, and we decided to try to stick together for the first few miles. Neither of us was really sure what our pace was going to be on the day, but we thought we would probably start around a 9-9:30 pace and see how it went. We ended up settling into about a 9:05 pace. My friend wasn’t wearing a watch, so I just did my best to run steady, even splits and we stuck together. Just after mile 8, I had to make a dash to the bathroom, but I told her to keep crushing it and to even pick it up a little if she could — especially in the last couple miles. She ended up doing amazing! I didn’t waste much time using the bathroom, but even with trying to catch up with a fast 8:45 mile afterward, I couldn’t even see her in the distance. I knew I couldn’t maintain that faster pace, but was able to settle back in again around an 9:05-9:10 for the last few miles. I ended up finishing in 1:59:00, and my friend finished two minutes faster in 1:57:00! She had a really great, super strong first half marathon! 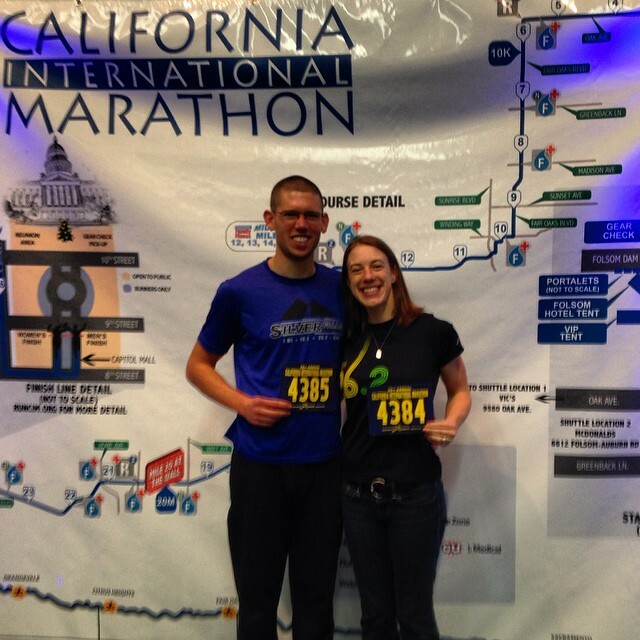 It was such a blast to sort of act as a pacer for my friend, and really made the miles fly by. Like I said before, I didn’t have any expectations for this race. I really just wanted to go out and have a good time. I ran a little faster than I thought I would be able to thanks to race day adrenaline and a couple days of “taper” beforehand. It was so much fun to see friends who weren’t racing cheering around town and at the finish. I also really loved having a big group to catch up with and celebrate with in the (root)beer garden after the race. I think Baby L had a great time too! We will definitely have to find another race to run together! This entry was posted in Uncategorized on April 16, 2015 by Kristen L.
Sorry I haven’t written recently, but we have been busy with some new and exciting things! Just before the new year, we got a puppy. Dakota is cute, smart, and loves running around the back yard! We aren’t taking her out on real runs with us yet. The vet suggested we wait until she is about a year old and her bones finish developing, to help prevent issues down the line. But I already know she will be a great running buddy! 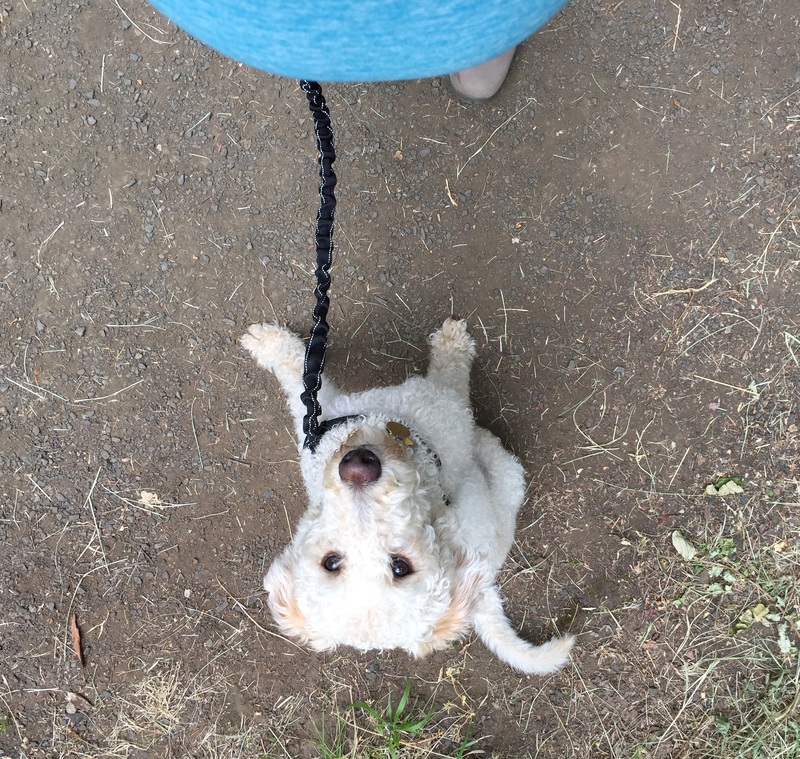 We have been going on a lot of walks now, and sometimes all she wants to do is RUN! Dakota, Ryan and I played on the beach in Newport, OR one day in January. Otherwise, training has been pretty laid back this year. In early January I was getting back into the swing of workouts after a nice break post-CIM and the holidays. Then in mid-January we got some very exciting news that we are expecting another little running buddy in late September!! I have been very thankful that I didn’t have to deal with first trimester nausea. I have actually found that exercising has actually increased my energy too, although the motivation to start a workout after work is not always there. 🙂 In general though, I have been trying to keep up the training that I love. It keeps me healthy, both mind and body, so I’m going to keep it going as long as possible. My doctor is in full support of me running and exercising, just at a moderate/conversational effort. I’ve been doing a couple days a week of running, then a couple of biking/spin. I’ve also been doing a little bit of yoga, and strength work, or just getting out for a walk with Dakota. This weekend I’m actually going to be completing my first race with my little running buddy. I’ll be running the Corvallis half marathon. I don’t have any time goals for the race, just enjoy being out there with a lot of friends and other people in the community. I ran a bunch of my long runs on the trails. I have been loving running on the trails lately, because I am so much less concerned about pace, and just enjoying taking in the scenery. Plus, the trails around here are amazing, even in the winter. 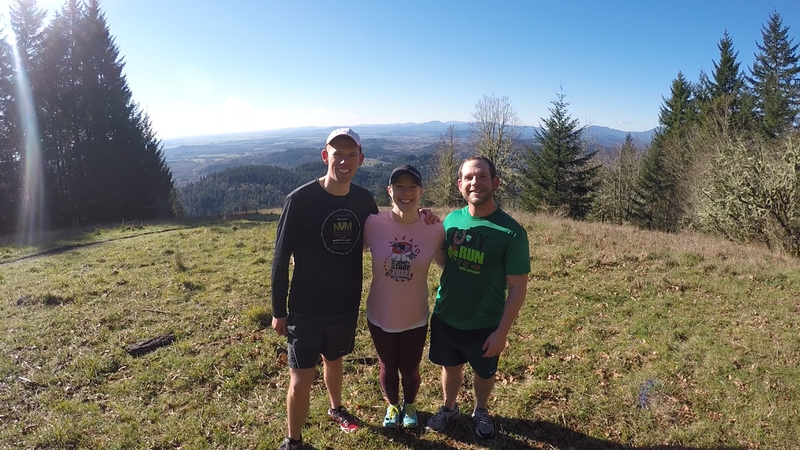 Ryan, me and Matt ran to the top of Dimple Hill — one of my favorite views in Corvallis. It’s finally really starting to sink in that we will be having a baby in our family in about 6 months. Crazy!! I’m excited for this next adventure. I hope to continue to be able to share with you about my experiences along the way. Hope you’ll follow along! This entry was posted in Uncategorized on April 6, 2015 by Kristen L.
I think summing up this race into words is going to be tough, but here’s my best shot at commemorating the day and my experience. On race morning, Ryan and I got dropped off at the start around 5:45am. The start area was still pretty quiet. We had a little time to wander around and make sure we had everything we needed for the race before starting our warmup. We dropped off our gear check bags and did a mile warmup, dynamic stretches and some striders. We had just enough time to go to the bathroom and make it into the start area before they sang the national anthem. Perfect timing. I lined myself up just ahead of the 3:40 pacer. My initial plan was to run the first 3-4 miles easy before dropping down to around goal pace and holding that as log as I could. The first mile was really crowded. I tried not to weave around people too much and settle into my easy pace. Mile 1 clicked over at 8:26. Right where I wanted to be. The first few miles at CIM are some small rolling hills, but net downhill. In mile two I kept hung feeling easy but didn’t hold myself back on the downhill portions. I ended up running an 8:04. That was my goal pace range already, so I continually thought about keeping it easy and just riding the downhills. Mile 3 was an 8:06. I remember thinking then that since this was where I was settling in, there was no point in really slowing it down. Just keep it going smooth and steady. The miles were ticking by so quickly! I rarely looked at my watch, and just focused on my nutrition every couple miles. I tried to simply observe my mile splits and not overthink them. I crossed the 10k mark at 51:00. At mile 8 I saw my friend out there cheering. It was nice to have a little boost from someone you know. Right after I saw him, there was a water station and some portapotties. There was no line so I decided to use one. I almost always have to go during a race, and while it didn’t feel urgent yet, I didn’t want to have to wait in a line sometime later. The stop cost me about 35 seconds, but I think that was totally worth it for not having to stop again the rest of the race! Miles 7-11 had a few more rollers, and other than my bathroom stop, I maintained my low 8’s paces. I enjoyed the cheering and big crowds around the relay exchange points. I tried to keep feeding off their energy and plugging along. I crossed the half marathon mark at 1:47:09. My goal at this point was to maintain my pace through mile 20. I saw my friend again just before mile 16. I was in the zone then and almost missed him. But it was nice to have another little boost. The miles kept quickly ticking by. I was feeling strong, but was still a little worried about hitting the wall. I kept telling myself that I wasn’t going to. I felt like I could maintain my pace for a long time. With 10 miles left, I told myself I could do this. I knew I could keep it going. Around when I saw my friend I started picking up the pace just a little bit. I had a few miles click over in the high 7:50s. As I approached mile 20, I could see a big group ahead of me – the 3:35 pace group. I was excited to finally be catching them! When I ran through “the wall” at mile 20, I really knew I could do it! 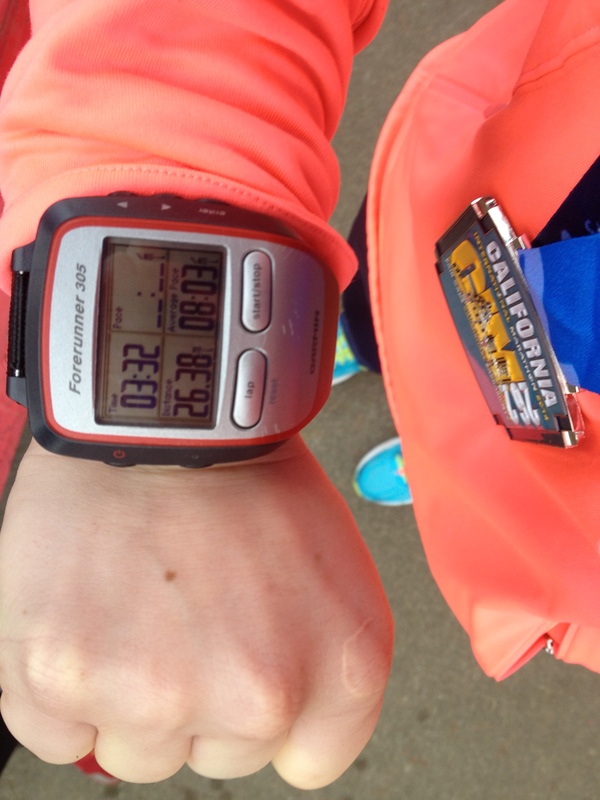 My 20-mile time was 2:42:28. I was cruising along still. I knew I’d have a Boston Qualifying time now. I was ahead of the 3:35 pace group, and gaining ground. I was feeling strong and controlled. I was picking people off and passing them one by one. One foot in front of the other. Mile 24 was one of my slowest of the race besides mile 1 and my bathroom stop at an 8:14. After that I told myself that even though I could continue that and still BQ, I had more in me. I could gut this thing out. Put everything down on that road. I saw my friend one last time at mile 26 with 0.2 to go. I sprinted as fast as my legs would carry me that last few tenths of a mile. My official finish time was 3:32:18. After finishing I was feeling totally in shock. I could not believe that I had done it. Not only did I break 3:35, but by more than 2.5 minutes! I was given a medal, an aluminum blanket, and a water. I stumbled like a drunkard to get my photo taken. I wanted to sit, but to also find Ryan and our friend. I sat on the curb for a minute to get my bearings. My body felt so strange…numb but mind racing in disbelief. After I found Ryan and sat for a few more minutes, I realized I really needed some food. I wasn’t hungry, but I knew I needed some calories. Even my ears were feeling numb and my hands felt like they were falling asleep. We stumbled together through the food line and I felt instantly better after a banana and some orange juice. Once we got our bags and put on some warm clothes, we were ready to get home and take a nap, and celebrate the day. Thinking about my experience a few days later, I really can’t believe how quickly the race went by. It’s like I snapped my fingers and I was another couple miles down the road. I also am so amazed that I ran every step of that race. No walking, no shuffling with tiny steps. I am so thankful for a healthy body that brought me to that finish line and for my family and friends for supporting me through training. It was a day I thought was only in my wildest dreams, and now is a reality. Keep dreaming big – you never know what you can accomplish! 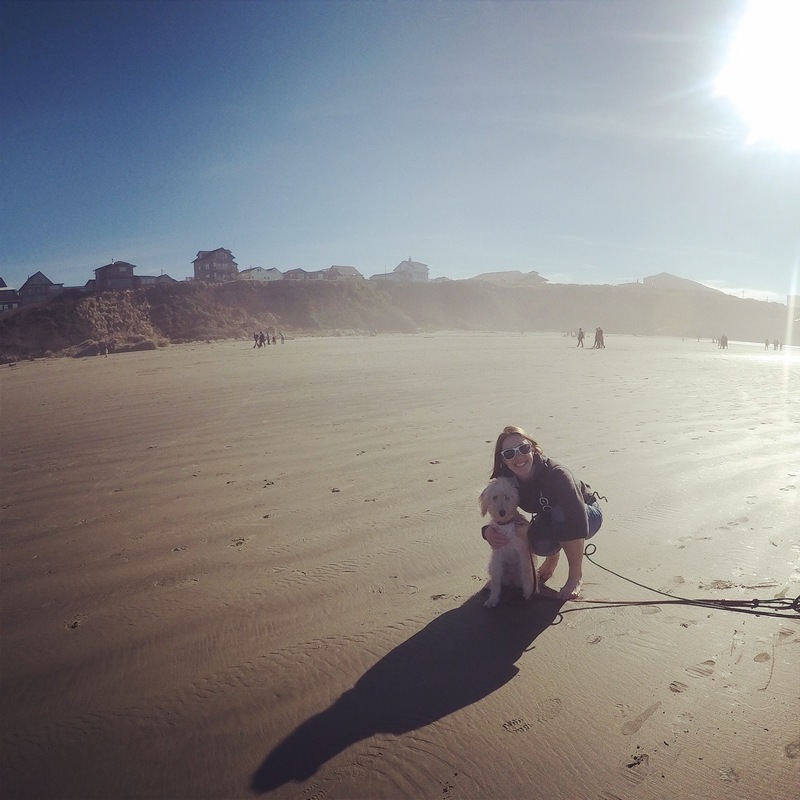 This entry was posted in Uncategorized on December 11, 2014 by Kristen L.
Last year after the OBX marathon, the marathon and I needed to take a break. I was feeling a little burnt out on the training and the miles (even though looking back I wasn’t running all that many). Plus, with trying to wrap up my PhD, and start the job hunt, I had a lot of other stuff on my plate. This year hasn’t had as many races as the last few years, and while that has been kind of nice, I’m now really feeling ready for a new goal. After the Scandia 10k in August, I was so pumped out about my improvements, that I signed up for the California International Marathon! 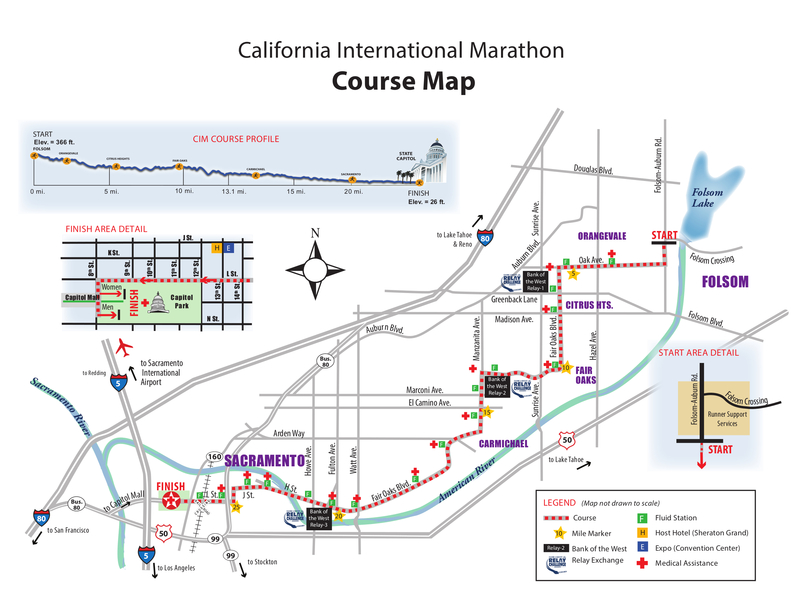 As you may know, I lived in Sacramento for a few years, but never actually ran this race. I’m looking forward to a visit back to CA in December for the marathon and to visit friends. Besides CIM, along the way I’m going to be trying my hand at a couple trail half marathons this fall too. 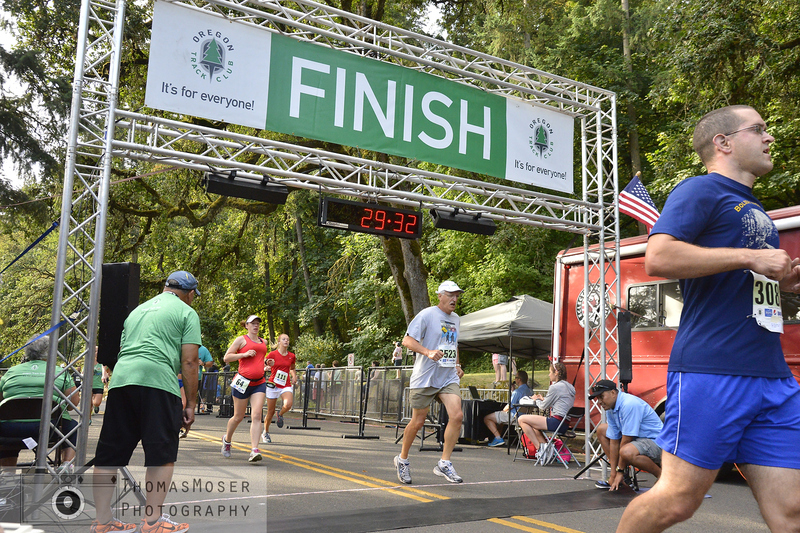 The first is this Satudray at the South Santiam half marathon in Lebanon, OR. 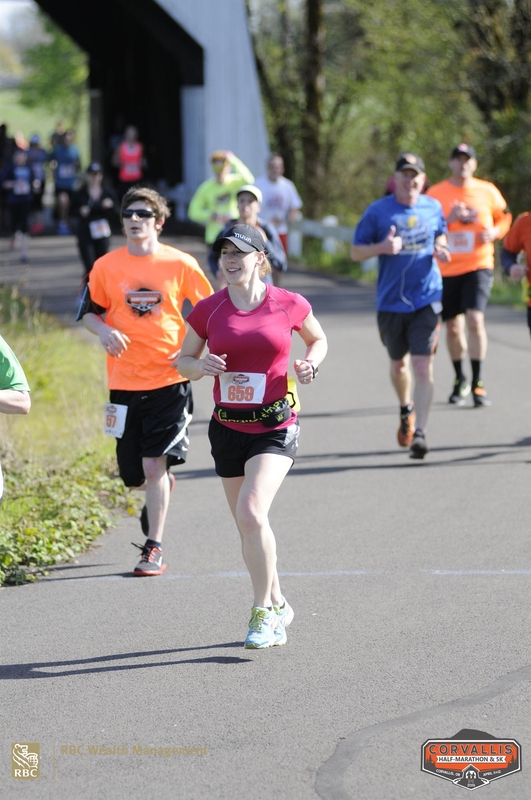 The second is the Silver Falls half marathon in Silverton, OR the first weekend in November. I have been doing more trail running as part of my training runs here, and I’m loving them! It’s nice to be off the roads sometimes and feel like you’re getting lost in the woods. Hopefully my first trail race ever will go well this weekend! I’ll keep you posted. So far, CIM training is just starting to pick up for me. I ran a 13 mile long run last week, and this weekend I’ll be using the trail race as part of a 15 mile long run. On the negative side, I’ve had a little bit of knee pain, that started after running the Cascade Lakes Relay. The good news is that it doesn’t bother me while I’m running, and it seems that as long as I have some Rock tape to support my knee, I’m feeling great on a daily basis. On the positive side, I’m putting in more miles than I ever have before, with this week’s goal of 42 miles. And I’m really having a ton of fun. Generally, I feel good and I’m hoping I can keep this up for the next couple months of training! 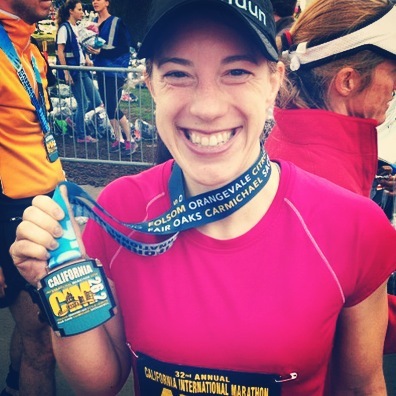 Have you run CIM before? What do you think about trail races? This entry was posted in Uncategorized on September 18, 2014 by Kristen L.